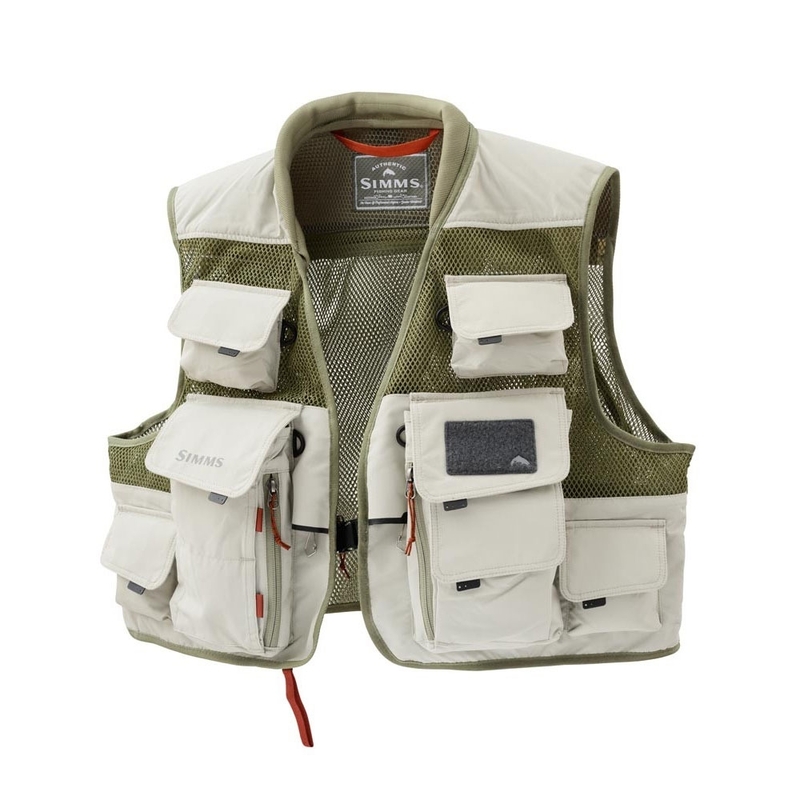 Simms Vertical Mesh Vest. 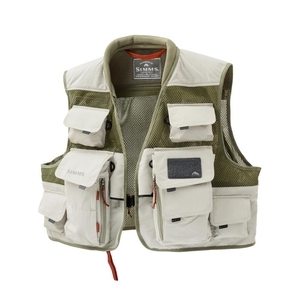 Simms’ Vertical Guide Vest is organizational life-support in the form of large bellowed pockets, with vertical dividers that keep sunglasses free from scratchy car keys. Sixteen additional stow-pockets cover all your riverside storage wants, while a breathable padded-collar, non-corrosive zippers and sliders, and convenient draw cord adjustment equal custom fitting and ultimate comfort. Simms products are overpriced (like anything you pay for the name) but you cant question the quality. Fantastic fly vest. More than enough pockets. Nice and cool in the summer. Fits perfectly. Fantastic fly vest. More than enough pockets. Cool in the summer. Its a Simms you get what you pay for excellent price in sale . Cracking kit well put together and well thought out position of pockets etc.